If you have an Amazon account, you can share it, and much of its digital content, by setting up an Amazon Household. Your Amazon Household can be made up of two adults (18 and up), four teens (13-17 years old), and four children. Amazon Prime members can share their Prime benefits with one other adult, and certain features with teens. You can't share Prime with children. Once you set up a Household, you can add and remove members at will as well as manage parental controls. Your Amazon Household makes it easy to share content and account benefits with your family, roommates, friends, and others, but there are a few important limitations and considerations to know about first. To share your Prime benefits and digital content with another adult, you need to link your accounts to Amazon Household, as outlined below, and, perhaps most importantly, agree to share payment methods. Previously, you could add roommates, friends, and family members to your Prime account, but you could keep payment options separate. Amazon changed that in 2015, likely as a way to quietly limit Prime sharing. Adding the shared payment requirement means you should only share your account with someone you trust. While each user can still use their credit or debit card, they can also access the payment information for everyone in the Household. It's probably best to limit your Household to someone you already pool funds with (like a partner or spouse) or someone you can trust to pay you back without hassle, in case of a mistake. When making a purchase, everyone needs to be careful to select the correct credit or debit card at checkout. Your accounts will otherwise remain the same, retaining their separate preferences, order history, and other details. Parents can share certain Prime benefits with their teen including Prime Shipping, Prime Video, and Twitch Prime (gaming). Teens with logins can shop on Amazon but need parental approval to make purchases, which can be done by text. Adding children to a Household lets you manage parental controls on their Fire tablets, Kindles, or on a Fire TV using a service called Kindle FreeTime. Parents and guardians can choose what content kids can see; kids can't ever make purchases. With FreeTime, parents can also set up educational goals, such as 30 minutes of reading per day or one hour of educational games. Prime Student members can’t share Prime benefits. There's always the option to remove members as needed, but if you choose to leave your household, there's a 180-day period where neither adult can add members or join other households, so keep that in mind before making changes. To add users to your Prime account, log in and click on Prime on the top right. Scroll down towards the bottom of the page, and you'll see a link to Share Your Prime. Clicking that link takes you to the Amazon Household main page, where you can click on Add an Adult to add someone 18 and over. That person must be present when you add them, as they'll have to log into their account (or create a new one) right from the same screen. To add users under 18, click on Add a Teen or Add a Child. Teens must have a mobile number or email to associate with the account; you must input a date of birth for both teens and children (under 13). When you share Amazon Prime, you can't share all of the benefits, and there are some age-based restrictions. 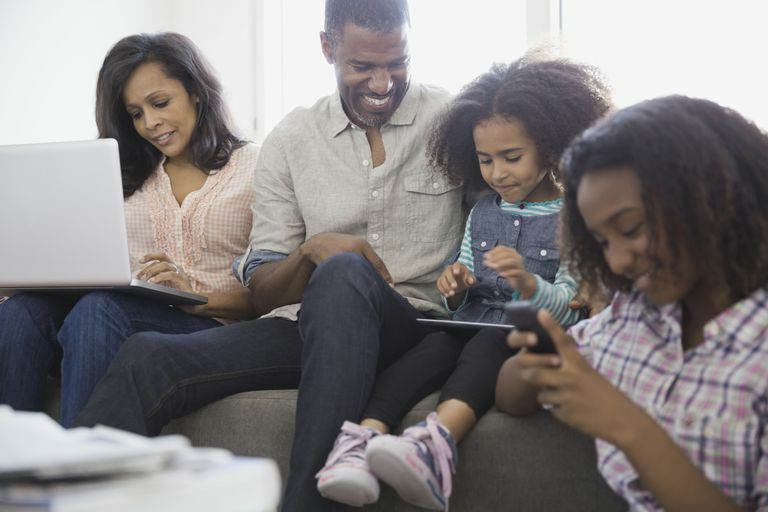 In addition to Prime benefits, Amazon Households can also share a range of digital content through a repository called Family Library. Not all Amazon devices are compatible with Family Library, though; Amazon has an updated list. If you're using the Kindle mobile app, you'll have to enable this feature in your Amazon account settings.